It has long been known that Louis Pasteur (1822-1895) took art lessons as a teenager. About thirty of his drawings, pastels, and lithographs have survived. Most of them are portraits of family, friends, and people in his town. But he stopped this work at age nineteen, and as far as we know, never again drew anything other than laboratory sketches. While acknowledging this early personal involvement with art, his biographers and other scholars have generally overlooked or ignored his active engagement with the fine arts as well as the numerous close friendships with painters and sculptors that continued to the end of his life. Even those scholars who reported that Pasteur taught at the School of Fine Arts in Paris for four years saw nothing significant in this. And, admittedly, he did not lecture on art, but on the chemistry of pigments, varnishes, and so forth, as well as on the physics of ventilation for architecture students. What prompted my curiosity about how the great chemist involved himself in the world of contemporary art was that, after I published my book, Picturing Medical Progress from Pasteur to Polio: A History of Mass Media Images and Popular Attitudes in America (Rutgers University Press, 2009), I took the occasion to re-read the 1995 dissertation of a former student, Richard E. Weisberg, with the idea of co-authoring an article with Richard based on his decades of research on medical images in French art. 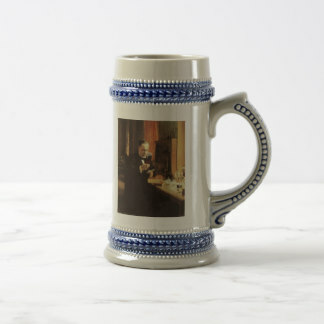 His dissertation, entitled “The Representation of Doctors at Work in Salon Art of the Early Third Republic in France,” is now freely available in pdf formaton a website I later created, The Scholarly Legacy of Richard E. Weisberg, at http://faculty.baruch.cuny.edu/bhansen/weisberg.home.htm. That reading opened my eyes to an exciting new story. 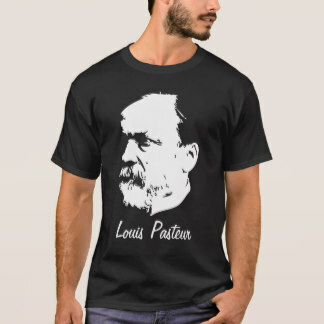 During his years in Paris, Louis Pasteur cultivated many close friendships with artists, and he was deeply engaged with contemporary painting and sculpture and all aspects of the art world. Further research has revealed more than thirty artist friends, and I have published articles (cited below) about six of them: Albert Edelfelt, Max Claudet, Paul Dubois, Jean-Jacques Henner, Auguste Pointelin, and Jean-Joseph Perrault. These were the men with whom Pasteur attended the big Salon art exhibitions each spring. They were the artists whose exhibitions he followed in the press, and whose work he recommended for publicity and honors. They were the guests at informal dinners with his wife at home. 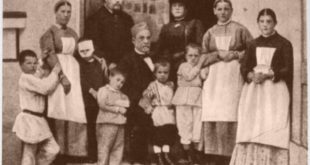 They brought their families to stay with him and his family at the Pasteur vacation house in Arbois. They were the men whose careers he promoted and whom he eulogized at their funerals. Although Pasteur has long been regarded as a man who never laughed and rarely smiled, this new research shows how congenial these relationships were and how often he made jokes with these artists. They welcomed him into their artistic community, and they regarded him as a colleague and a peer. 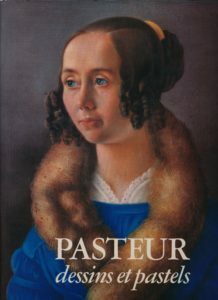 While Pasteur’s personal connections with artists had not been Richard’s primary research focus, his dissertation had assembled numerous data points for exploring these friendships. Unfortunately, Richard died in 2011, just a year after we embarked on our joint research project. I continued the work on my own, and created the website mentioned above to honor Richard’s research and offers free links to his entire dissertation. Our joint work was first published in 2015 as Richard E. Weisberg and Bert Hansen, “Collaboration of Art and Science in Albert Edelfelt’s Portrait of Louis Pasteur: The Making of an Enduring Medical Icon,” Bulletin of the History of Medicine 89:1 (Spring 2015), 59-91. 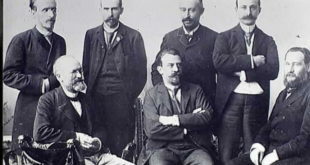 Two additional articles appeared in the Journal of Medical Biography as Bert Hansen and Richard E. Weisberg, “Louis Pasteur’s Three Artist Compatriots—Henner, Pointelin, and Perraud: A Story of Friendship, Science, and Art in the 1870s and 1880s,” Journal of Medical Biography 25:1 (February 2017), 18-27; and as Hansen and Weisberg, “Louis Pasteur(1822–1895), His friendships with the Artists Max Claudet (1840–1893) and Paul Dubois (1829–1905), and His Public Image in the 1870s and 1880s,” Journal of Medical Biography 25:1(February 2017), 9-18. Because of the publisher’s restrictions, we are not able to provide PDFs to these two articles. But interested readers without access to a university library can often place an interlibrary loan request through a local public library and receive a photocopy. 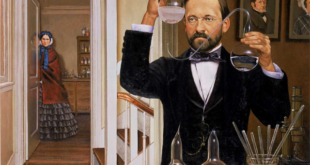 In early 2017, Joseph Gall, a chemist and professor emeritus at the University of Colorado, published an article that extended my picture of Pasteur’s life in art to suggest a possible connection to one of his key scientific insights, “Pasteur and the Art of Chirality,” Nature Chemistry 9 (2017), 604–605. Gal asked whether it might have been Pasteur’s teenage experiences with lithography that helped him make discoveries about asymmetrical organic molecules that have mirror imagery. Gal’s article is behind the publisher’s paywall; but, again, a local public library might be able to help readers gain access. Gal’s research was described in the New York Times on June 14, 2017, and this article may be accessed online at https://www.nytimes.com/2017/06/14/science/louis-pasteur-chirality-chemistry.html.